We know there is some confusion about what plug-ins various versions of Pro Tools will run, so we’ve created a dummies guide to help you understand. We’ll add to it as more questions arise. Moving to Pro Tools 11 means that Pro Tools no longer runs any plug-ins in the RTAS format. 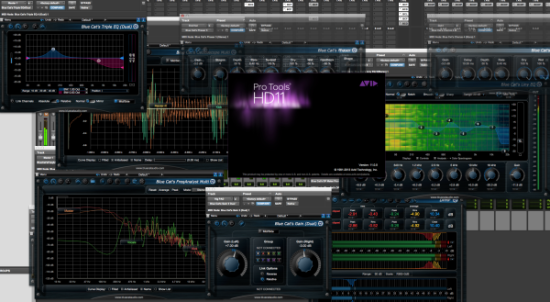 These are the plug-ins that live in your Digidesign folder with the .dpm extension. During the transition and run up to Pro Tools 11 various vendors created 32 bit AAX versions of their plug-ins for Pro Tools 10, these do not run in Pro Tools 11 (a 64 bit application) and so until the vendor creates a new 64 bit version you will have to wait. This was partly due to Avid creating several different versions of the AAX SDK during development. DO NOT ASSUME AN AAX PLUG-IN WILL RUN. IT HAS TO BE 64 BIT. Pro Tools 10 and below can still run your RTAS and 32 bit AAX plug-ins so don’t delete any versions of earlier plug-ins unless you are sure you no longer need them. Both Pro Tools 10 and Pro Tools 11 will load the right plug-ins without you having to figure it out. You still need your Avid AAX and Digidesign DPM folders if you intend to jump between Pro Tools 11 and earlier versions. If you have earlier 64 bit AAX versions of plug-ins, most likely beta versions then they may not run and you may need to download a new version - Vienna Ensemble Pro is one such plug-in that now has a new 64bit version to run in Pro Tools 11. As Avid launched Pro Tools 11 on Friday our guess is that during the next couple of weeks that many other software vendors will release the 64 bit versions of plug-ins. We’ve seen copies of Waves, Toontrack, McDSP, Softube and many others running in Pro Tools 11, so sit tight and watch this space. If you have an album to finish then use Pro Tools 10 that you started it on, it sounds the same… really.